Make your birthday special with beautiful birthday frames! Create special moments of your life by embedding your birthday memories in lovely birthday frames. Now you can easily create amazing birthday photo frames by placing your photos in birthday photo frames using free DRPU Birthday Photo Frame Maker. ➔ To Apply Any Other Type of Photo Frame on Your Photos, Install 'All in One Photo Frame Maker' Freeware App. 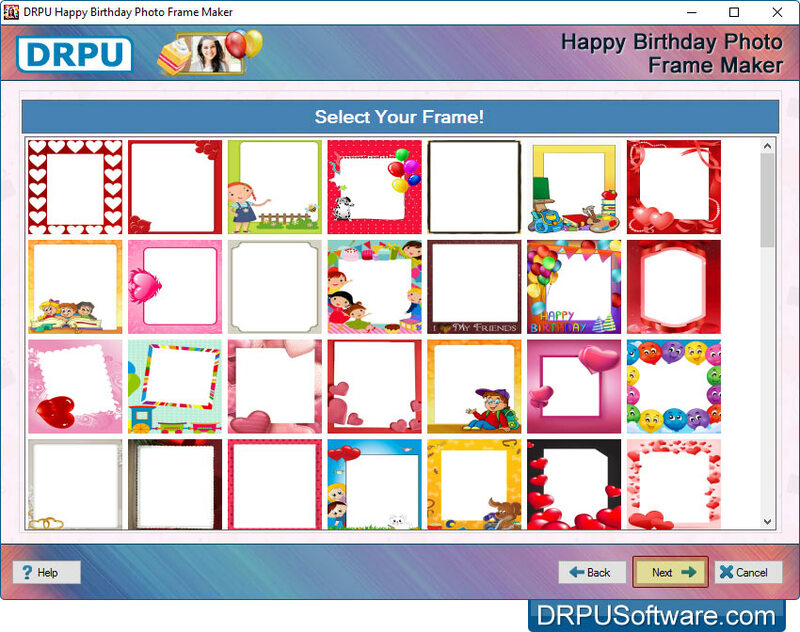 Decorate Happy Birthday frames with your photo and Birthday wishes text. Make personalized photo frame along with your birthday photos, birthday wishes and messages. 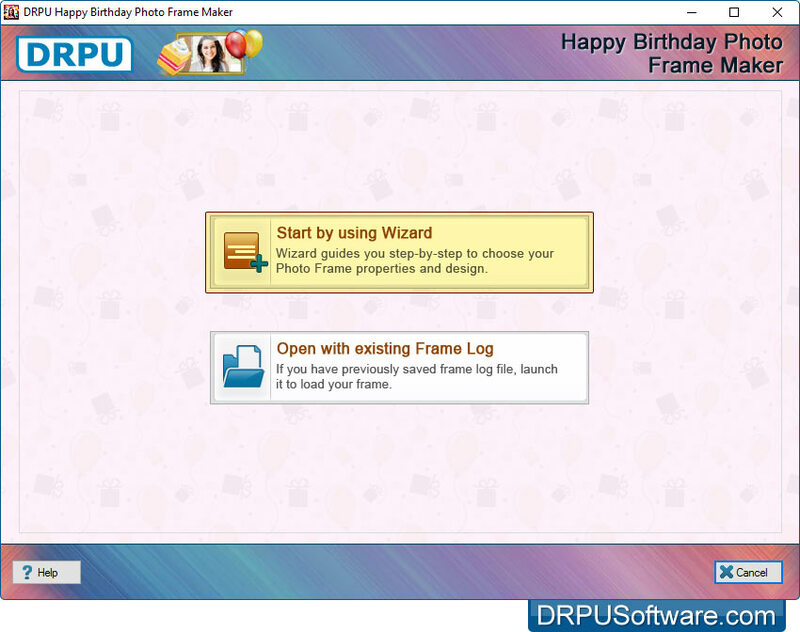 DRPU Software provides "Happy Birthday Photo Frame Maker" freeware app to beautify your photos with Birthday Photo Frames and send it to your friends or family members through E-mail. 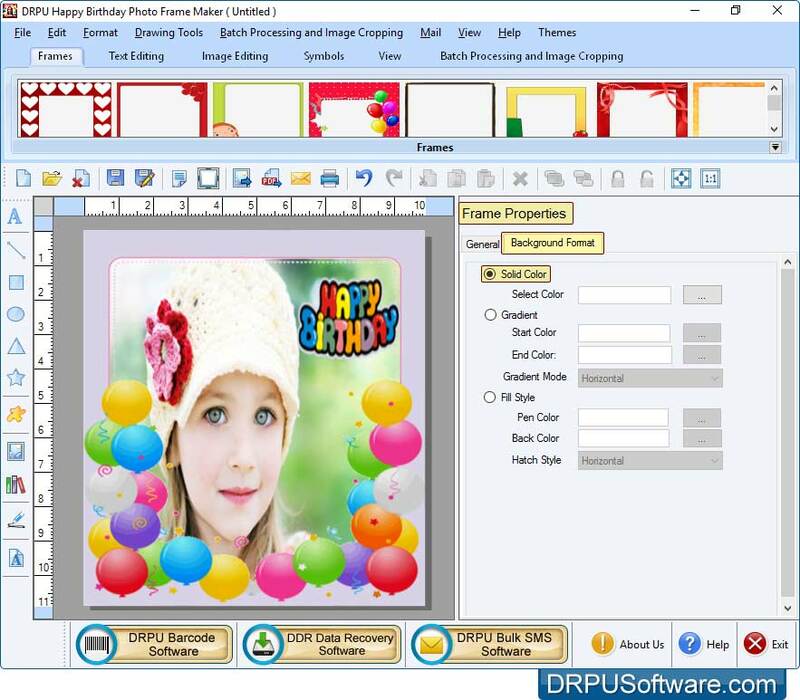 Using DRPU Happy Birthday Photo Frame Maker , you can print your decorated birthday frame with photos using advanced print setting option. Create multiple photo frames with different photos and text value using "Batch Processing Series" feature. Save Birthday photo with frame in different file formats including JPEG, PNG, TIFF, Bitmap, GIF etc. 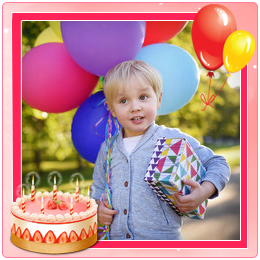 You can export your birthday photo with frame in jpeg, png, bmp, pdf and other file formats. Send your designed photo with frame to single as well as multiple E-mail addresses at the same time. Freeware app provides various designing tools including ClipArt, Text, Line, Shape type and Insert image while applying photo with frame. 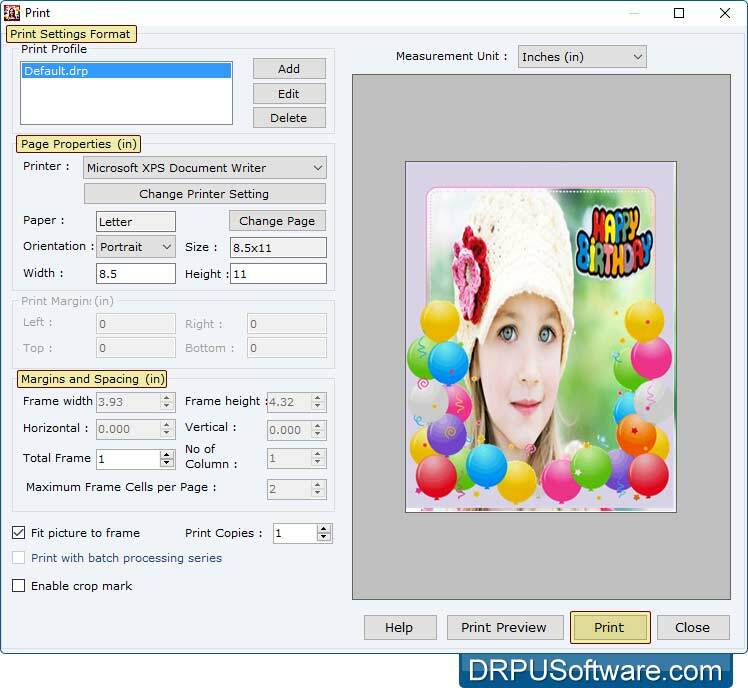 Advanced Print setting option to print photos with birthday frame with support to all major types of printers. Software provides pre-designed photo frames to decorate your photos with stylish and lovely frames. Camera setting option to capture photo or you can also browse the path of that image to which you want to add photo frame. Select any one option either 'Start by using Wizard' or 'Open with existing Frame Log'. Select your Frame you would like to add on your photo and click 'Next' button to continue. Browse your photo, to which you want to add frame. You can also use 'Camera' option to capture your photo. Here, you can adjust frame settings like frame background settings solid colors, gradient colors, transparency etc. To print designed 'Photo with Frame' set all print settings and click on 'Print' button.